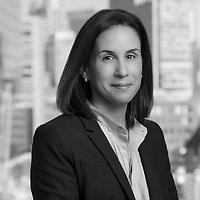 Robyn Maguire, a partner in the firm’s Litigation Department and a member of the Product Liability and Toxic Tort Litigation practice group, will serve as a moderator for the panel “Anatomy of a Products Liability Case” at the inaugural American Bar Association (ABA) Biotech Regional Workshop held at Massachusetts Biotechnology Council (MassBio) on June 12. The panel will consist of a practical discussion of a products liability lawsuit, from the basic building blocks of products claims to real life examples. The first part of the discussion will include a primer on the types of claims and defenses typically asserted in a products case and in the second part of the discussion, panelists will examine how a single products liability case can mushroom into multidistrict litigation, class action lawsuits, coordinated proceedings, and even relator qui tam and attorney general lawsuits focused on the company’s marketing of a product and consumer fraud claims. The panelists will also examine newsworthy products liability cases that exemplify the types of claims discussed in the first two parts of the discussion and how documents and other evidence created during the development phase of a product can be used years later by plaintiffs or governmental entities to support their claims. Nutter is a gold sponsor of this program. For more information, click here.